Sensoji is Tokyo’s most famous and oldest temple and of all of the attractions Tokyo has to offer, is probably the only agreed on must see destination not only in guide books, but for residents alike. The temple dates back to 628 – Asakusa is far older than Edo – when two brothers, fishermen by trade, pulled up a golden statue in their nets. Not knowing what to do with the statue, they took it to the village headman, who realized what it was: a statue of Kannon, the goddess of mercy. He converted to Buddhism and turned his house into a temple, one that eventually became the current Sensoji. The temple grew over time and the major gates, Kaminarimon and Hozomon (Niomon) as well as the five story pagoda were built in 942 by Taira no Kinmasa as a sign of his thanks and gratitude for achieving his wish of becoming the governor of Musashi (current day Saitama, Tokyo, and northern Kanagawa prefecture). It gained further prominence and status when designated as place where prayers for the wishes of the Shogunate were to be offered by the first Shogun, Tokugawa Ieyasu. 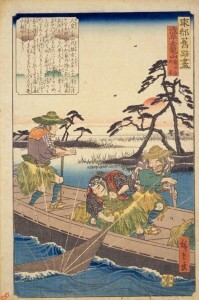 As a result of this, it became a center of culture in the Edo era, both religious and secular. 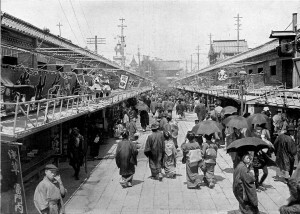 The area’s repute as the place to for entertainment was cemented when the kabuki theatres, originally located in the area later to be known as Ningyocho were forcibly moved to Asakusa in 1841. The move was originally designed to quell the burgeoning popularity of kabuki and the degradation of public morals that the Shogunate thought it caused. 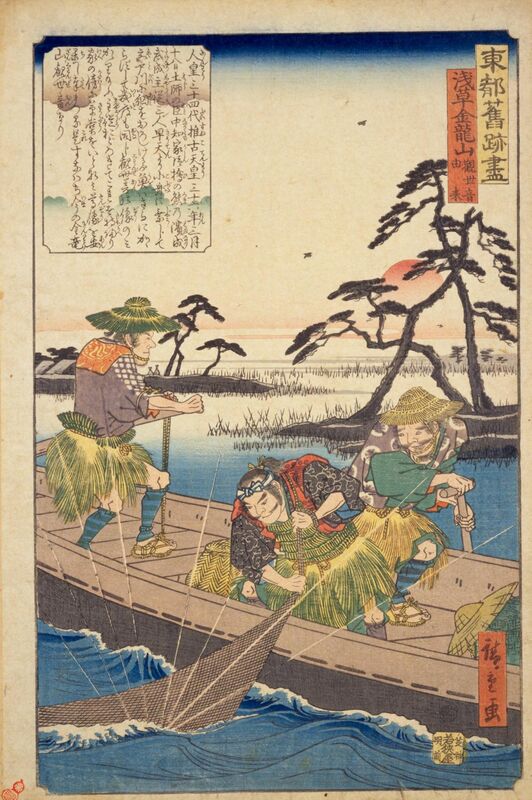 While there was an initial drop in attendance and revenue, moving kabuki to the largest business district in Edo combined with the number of people going to the nearby licensed prostitution of Yoshiwara caused kabuki to become even more popular. In fact, Asakusa was the cultural center of Tokyo for over one hundred years. Entertainment of all sorts: theatre, sideshows, amusement parks, as well as other bawdier and less legal forms as well could be found here. Fashions were set here and expanded to other parts of the city. Dining establishments abounded, and cuisines of all sorts could (and still can) be found here. That ended with the air raids of 1945, and changing tastes afterwards – fashion and entertainment centers shifted west after World War II, and the heady days as Tokyo’s center faded, but the vitality and richness of history remain. The area still draws crowds, both overseas visitors and Japanese alike, all coming to get a taste of old Edo and pre-War Tokyo. The mix of the sacred pursuits and earthly delights are still alive and waiting for you in Asakusa.